The Curious Pebble Project: DONATION MADE! Well! 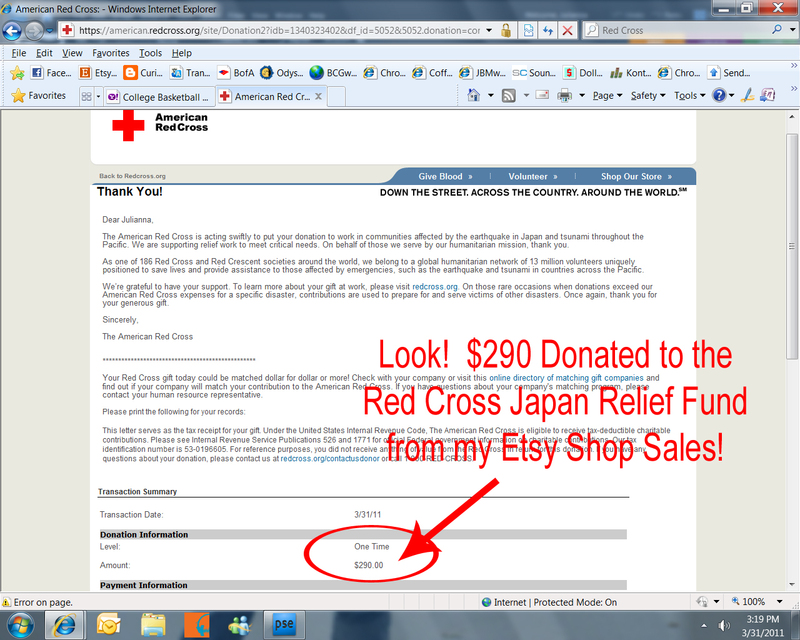 All this month, I've been working toward the biggest donation I could make through the sales of the Japan Tsunami Curious Pebble... I'm tired, but very, very happy! I took a screen print of the listing before I changed it... This particular style was so popular that I decided to keep it in the store as a custom order. 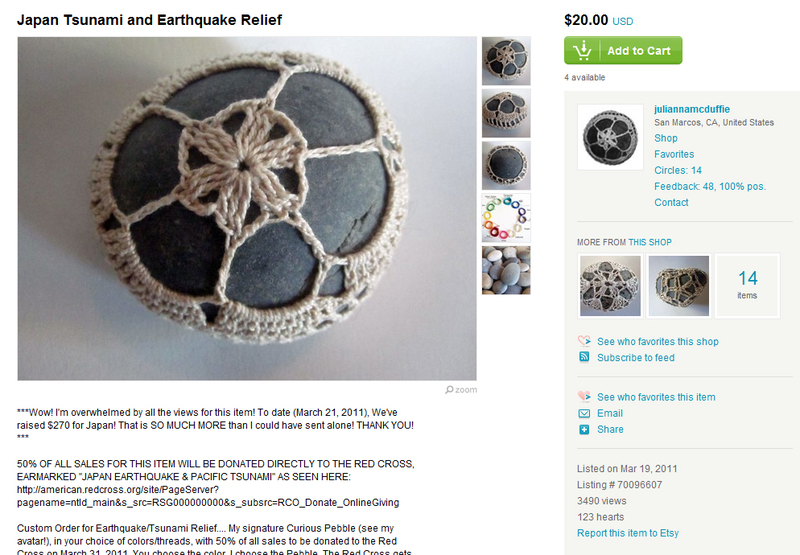 So, you might note that the current listing has changed from what you see above, as this was the last day of my fundraising. And already, I'm asking myself, but why stop? But I think it's time to move on. 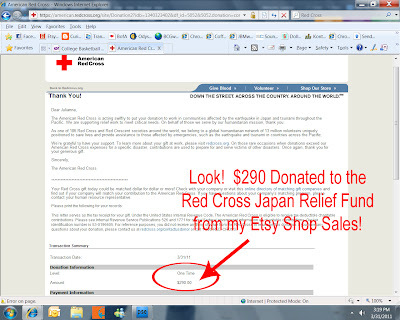 And so, THANK YOU to everyone who helped me to make that donation possible. I could not have done it without you, and I'm thrilled that I could make something worthwhile and worthy and for a good cause. And if it happens to look pretty on your desk, then so be it.